Editor’s Note: This guest post was contributed by Tracey Wik, Managing Director of GrowthPlay, and Wendy Mack, Director of Research and Delivery, GrowthPlay. So, what should you do if you are a sales leader in the other 84%? First and foremost, recognize that assembling the right sales team can be a complicated equation. Our guess is that you have multiple roles within your sales organization. Each of these roles may require different profiles, competencies, and skillsets to truly drive success for individuals and teams. People who don’t work in sales often lump all sales jobs and all salespeople into one category, resulting in generic hiring and development practices that don’t always help you drive long-term revenue and growth. To build and execute an effective talent strategy, you need to customize processes, training, and tools in a way that addresses the unique and complex nature of sales. The good news is that complex doesn’t mean it has to be hard. We have developed a “Triple Fit” approach to acknowledge the multi-faceted nature of getting sales talent right while simplifying the complexity. If you are looking to improve your odds of attracting, selecting and retaining top performers, we suggest that you use this framework to launch conversations among sales leaders, HR, L&D and sales enablement colleagues. Optimizing your sales force requires you to put people into roles that align with their natural strengths. Just as baseball has very specific roles — pitchers, outfielders, catchers and infielders — sales has many different and unique roles. And you will find, as they do with baseball, not many people can successfully play multiple roles effectively. Our 45+ years of research and experience have shown that different sales roles require different strengths. For example, new business developers selling cutting-edge offerings need strengths in networking, qualifying prospects, and problem-solving. Account managers, on the other hand, need to possess the aptitude to educate customers, solicit feedback, and get things done on behalf of their clients or customers. It is extremely rare to find one person who has the natural capacity to perform both jobs well. In fact, it’s so rare that we call these people “purple unicorns” — meaning stop looking for something that does not exist! Instead, get clear on what roles you need based on your market and sales approach and then focus on finding people with the potential to succeed in those sales roles. In a nutshell, any version of personality style is simply a way of capturing the pattern of differences in our habits, motivations, and preferred approaches to life. When viewed this way, it makes sense to recognize that a person’s patterns (aka style) can influence the kinds of jobs they will be attracted to and will be energized by. Someone who is extroverted and theatrical will likely prefer a sales job that is action oriented and has a short sales cycle. On the other hand, someone with a quiet, patient, and people-oriented personality will likely be drawn to selling roles that require a relationship approach. Research pioneered by the Chally Group Worldwide (now part of GrowthPlay) revealed that there is no one best sales approach. In fact, our studies show that there are four main sales approaches, each of which best fits four different market types. And fascinatingly, it seems that certain personality styles best align with these four different sales approaches. Of course, there is a big caveat when it comes to making style part of your talent management strategy. A person can like doing something but not be good at it. As a result, hiring and placement decisions based on style alone can backfire. So don’t stop at styles. You need to formally evaluate strengths and skills. The last piece of the equation is seller skills. Skills is the term we use to convey the quality with which sellers demonstrate desired behaviors on the job. Potential strengths are often only fully realized (turned into demonstrated skills) when they are intentionally developed through self-study, coaching, training, and practice. Other mistakes to avoid in the skills arena include attempting to fix talent gaps through training alone and/or sending everyone to the same training regardless of their skill level or role. We suggest getting clear on the skills you require and expect, assessing how well your sellers demonstrate those skills, and taking action to address the skill gaps that matter most to achieving outcomes such as revenue growth, client satisfaction, and retention. 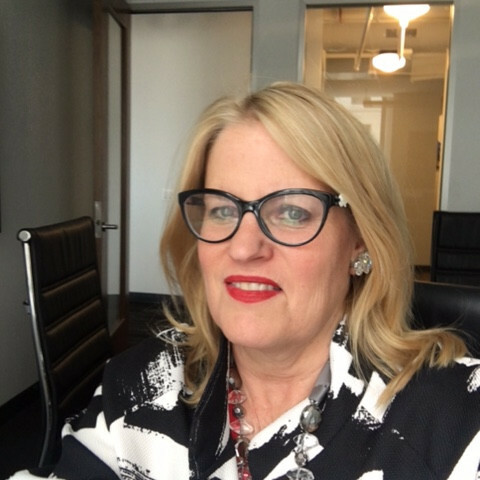 Patti McCord, the former Chief Talent officer at Netflix became well-known and respected for her revolutionary approaches to talent management. She famously sums up her approach by asking one simple question, “Are your people doing the work they love doing and that they are extraordinarily good at?” We believe the Triple Fit approach provides you with the guidance you need to answer “yes” to that question. Styles can give you a sense of what your sellers love doing. Strengths indicate each person’s natural fit for a specific sales role. Skills tell you what your activities your sellers have mastered and where they may need help to become extraordinarily good. Combine the three and what started as a complex puzzle becomes as easy as putting the right pegs into the right holes.